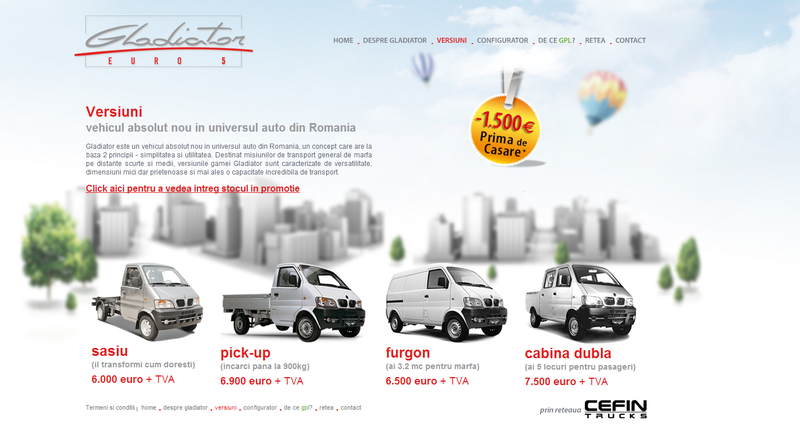 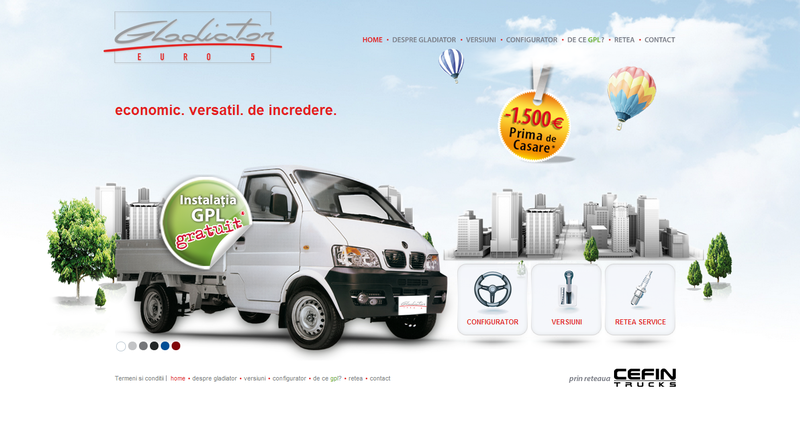 Gladiator is a project of Cefin Trucks, one of the most important dealer of commercial vehicles in South Eastern Europe. 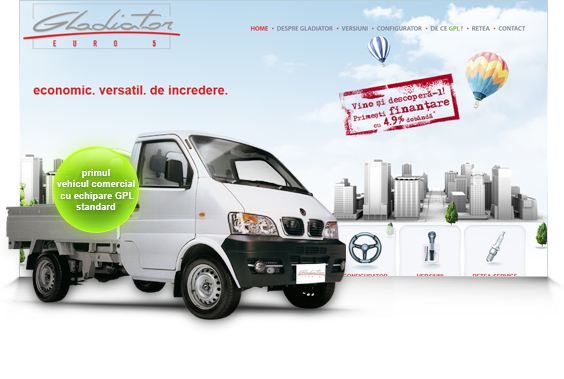 The website presents a whole new transport vehicle, small and agile, build for shipment of goods on small or medium distance. 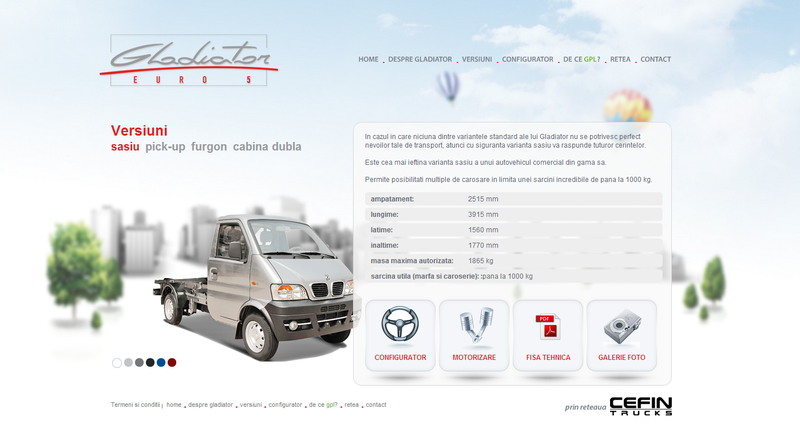 This kind of innovation needed and innovative design and intuitive navigation useful for analyzing the vehicle features and advantages. 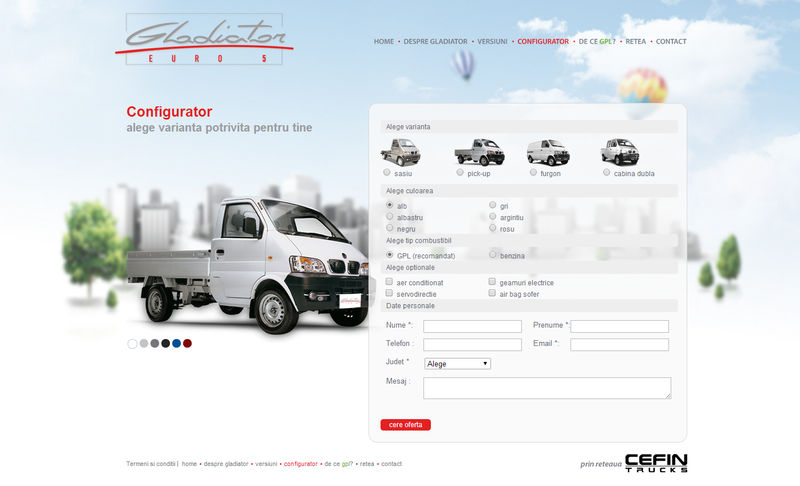 We also built a simple but very efficient configurator, leaving the visitors the opportunity to choose the equipment and the optionals they need.